RMS25 provides you valuable management information. You may view or print statistics on jobs, items or customers. 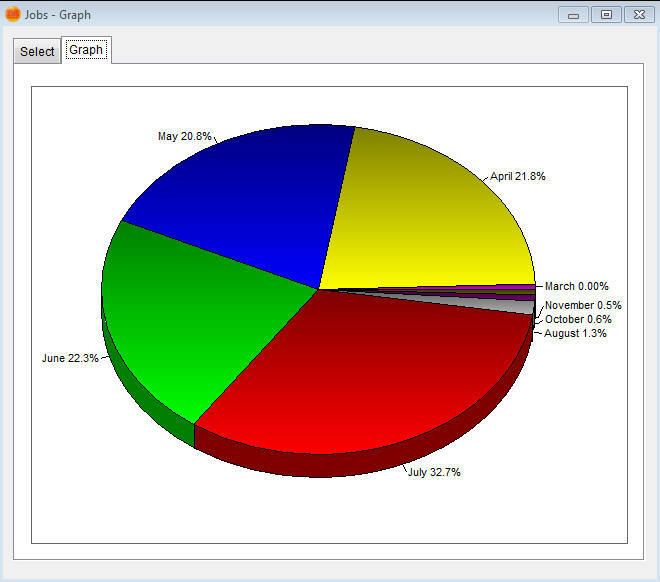 The information is provided either as graphs or as a clear report, and may be exported to a spreadsheet like Excel. Also, there is the link-option, with which you can export information from RMS into your accounts-system. Try RMS yourself, click here to download a demo!